Greencross Vets Kangaroo Flat is a state of the art veterinary clinic featuring the most advanced medical, diagnostics and surgical equipment. The veterinary clinic is also conveniently located within the Petbarn store so you can get all your pet care needs under the one roof. 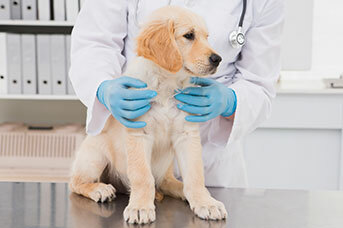 We offer a comprehensive range of professional veterinary services ensure that your pet is healthy and happy throughout all life stages, ranging from preventative health care to weight loss programs through to surgery and diagnostic medicine. Pet owners will experience a high level of care and service for their pets delivered by our team of highly skilled and dedicated vets and nurses. We encourage you to contact us directly should you have any questions about your pet’s health and wellbeing or if you simply want more information about theservices that we can provide you and your pets. Click here to book an appointment online today! 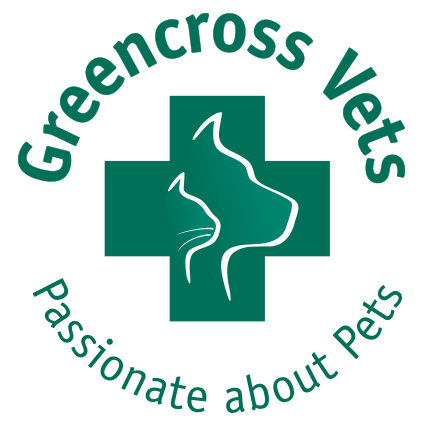 Greencross Vets Kangaroo Flat offer a comprehensive range of professional veterinary services to cater for all your pet care needs utilising the latest diagnostic equipment. 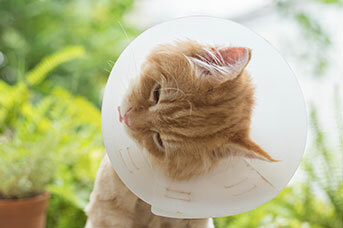 Getting your pet desexed (neutered or spayed) is essential to their health. All Greencross Vets facilities are completely sterile and use the latest in surgical equipment. Prevention is the best medicine. 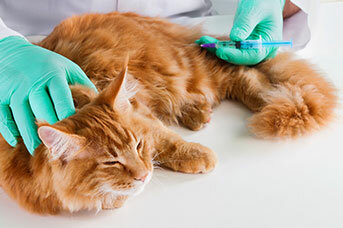 Kitten and puppy vaccinations (injections) and adult pet vaccinations prevent disease. Get your pet’s vaccinations up-to-date. Heartworm can be hard to detect, but it needn’t be hard to prevent. Greencross Vets recommends year round heartworm prevention. Ask your vet about prevention today. 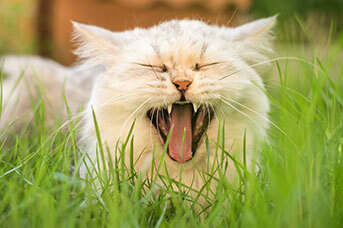 Greencross Vets offer a range of dentistry services like cat and dog teeth cleaning. Consider us your pet’s veterinarian and dentist combined. An ultrasound is a painless diagnostic procedure that allows vets to take a closer look at your pet’s health. We only use the latest technology for the most accurate diagnoses. Greencross Vets clinics are equipped with high-quality radiograph equipment including X-ray machines, automatic processors, and X-ray view equipment. Clinical pathology allows our vets to analyse and diagnose health conditions. 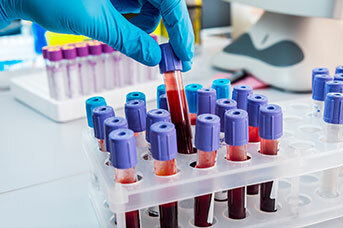 Common laboratory tests include blood tests, urinalysis, faecal tests and biopsy examination. The latest in-house laboratory equipment allows our vets to perform a range of diagnostic tests to achieve accurate, rapid diagnosis of your pets’ health status. “Ever since I was little I have always had a crazy passion for animals, particularly dogs. I have always loved caring for and nursing animals. They bring such joy and happiness into the lives around them. I am currently doing a certificate 4 in veterinary nursing and have big goals to go further with my studies and achieve a Diploma in Veterinary nursing. “Gillian grew up in Castlemaine where she began her Veterinary Nursing career. She then moved to Melbourne to study at University to complete her Bachelor of Science (Animal Science) where she continued to work as a Vet Nurse for 8 years. Gillian worked at a number of different clinics including a large Veterinary hospital and a Homeopathic vet clinic. Gillian then moved to Bendigo to start her human family. After 8 years of giving her children her full attention, Gillian decided it was time to return to her career and joined the Greencross Team. Bree has been working as a veterinary nurse for 7 years and has enjoyed every moment. She enjoys the challenging aspects of working in the veterinary industry and what they provide in terms of experience and growth. Bree love’s working hands on with the animals in surgery and monitoring their anaesthetic and helping them recover from their procedures. Bree has a full household of animals at home to keep her busy which she just loves. She has everything from dogs to cats, chooks to fish and even 2 little squeaking guinea pigs. She is part way through her Certificate IV in Veterinary Nursing at Bendigo Tafe which is a great way to get the theory behind all that we do here in the clinic. Bronley has been one of the team at the clinic since August 2013. You will often find Bronley in reception chatting to our lovely clients, and she also loves caring for our patients whilst in surgery and hospital. Bronley was born and raised in Bendigo and completed her VCE at Bendigo Senior Secondary College She has always had pets as a part of her family and has a huge passion for their health and wellbeing. Bronley competed in jumping trials with her papillon Mya and they were quite successful until Mya lost interest! Currently Bronley is training with her border collie and is hoping he will be just as successful. Bronley always wanted to work with animals so vet nursing was the appropriate choice for her. Currently she is studying Certificate IV in Veterinary Nursing at Box Hill Tafe. When not at work, Bronley enjoys horse riding, reading, training and spending time with her four legged family. This consists of one princess papillon Mya, a blue merle border Zhanti, a paint quarter horse, a birman and a chubby tabby. Born and raised in Melbourne, Bronwyn was an animal lover from birth. From a very young age she would bring home stray animals of all kinds and adopt unwanted pets from friends and family. Becoming a vet seemed like the logical choice for Bronwyn so following VCE, she began her Bachelor of Science at Melbourne University, hoping to transfer into Veterinary Science. When this didn’t eventuate she instead completed her degree with a double major in Neuroscience and Animal Behaviour. Following university, Bronwyn’s desire to work with animals, particularly horses, overshadowed her newly acquired degree so she went to work for Kingston Park Studs, a thoroughbred stud farm in Rochester where she worked for four years. During that time she married her husband Travis and his work with the CFA sent them to Mildura where Bronwyn worked as a Laboratory Technician in a large wine bottling facility. After a year in Mildura they returned home to Rochester where Bronwyn finally gained employment in her dream industry and started her training as a Vet Nurse at Rochester Veterinary Clinic. She worked there for five years, completing her Certificate IV in Veterinary Nursing. Bronwyn began work at WHAH in June of 2013 and hopes to begin studying for her Diploma of Veterinary Nursing this year. Bronwyn lives on a small farm in Rochester with her husband, two daughters Ellie and Charlotte, the dogs Toby and Saffie, the cats Garnet, Oliver and Rosie, her old, retired horse Jag, her up and coming dressage superstar Gretel and the girls pony Mellow Yellow, as well as Dora the goat, Bramble the duck, Kingsley the bantam rooster and Egglentine the hen who hasn’t laid an egg in 3 years. In her spare time (ha ha) Bronwyn enjoys horse riding, particularly dressage, sewing pretty clothes for her girls and training for obstacle races like Tough Mudder. Georgia grew up in Bendigo and spent time around animals from an early age. She rode horses for several years before choosing to study Veterinary Medicine at Melbourne University. She completed her degree in 2013 and submitted her final year research piece on canine behaviour. 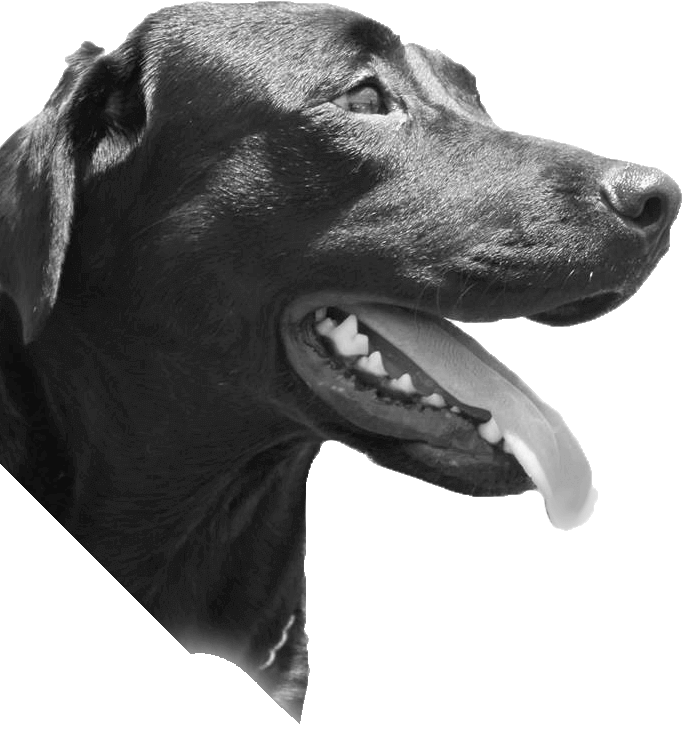 During her final year of clinical study, she completed study placements with specialists in Veterinary Behavioural Medicine and she has a particular interest in behavioural problems, particularly the preventative aspects of behavioural medicine. Georgia has one cat at home but she is looking forward to adopting many more during her career. Erin was born in Rosebud Victoria. After starting primary school at Boneo, Erin and her family decided to move to a small country town called Maryborough. Living on a new large property meant Erin’s long lived dream of owning a horse was able to come true and this is how Erin developed her love and passion for horse riding. Erin has always had a large variety of animals as part of her family such as dogs, birds, cats, horses and a few lambs that needed to be hand raised. In 2011 Erin’s family opened a Cattery, called the Moggy Inn, Erin spent a lot of her weekends and after school hours helping with the care of all the cats in the Cattery, this helped Erin’s decision to work with animals when she got older. Erin completed Year 12 in 2013 at Maryborough Education Centre and moved to Bendigo to complete her Certificate III in Animal Technology in 2014 at Box Hill Tafe, commuting to Melbourne on the train 3 days a week. In early 2015 Erin started her nursing career at Greencross Vets White Hills and is now currently studying Certificate IV in Veterinary Nursing. Erin is part of the clinics Puppy School team. Outside of work Erin enjoys horse riding, swimming, art, listening to music, road trips, dancing and hanging out with her childhood pony Star and her rescued tortoiseshell cat Romi. Keely joined the Greencross White Hills team as a school based trainee in 2013 and since graduating from VCE has taken on a more regular role at the clinic as a junior nurse. Keely has a dog called Ned and loves animals great and small. Keely aims to begin her veterinary nursing qualification in 2016 to build on her existing skills and knowledge. Leanne joined the Greencross team as Practice Manager in February 2018. Leanne’s previous Practice Manager experience was in the dental field but had an ambition and passion to put her skills to work in veterinary practice management. Leanne loves all creatures great and small (except cockroaches)and has a passion for Dachshunds which she have been part of her family for many years. Leanne is part of the Dachshund community in Bendigo, Melbourne and Geelong. Leanne looks forward to meeting all Greencross clients with their pets at the either the White Hills or Kangaroo Flat clinics. Emma has 10 years experience as a vet since graduating in 2008, joining joining the GX team in January 2018. Emma has a passion for Veterinary medicine and surgery and is now a Veterinary Director at GX Kangaroo Flat. When not at work Emma is kept busy by her two children aged 4 and 1 and is married to a horse trainer. The family also has 3 cats and 2 dogs which Emma and her family like to spend time with. Emma looks forward to assisting the pets and owners of Kangaroo Flat and surrounds. Carla grew up in Castlemaine, Victoria but has travelled and lived in almost every state of Australia. She has spent her working life making a career out of human nursing but has now put aside shift work to become Practice Manager at Greencross Vets White Hills and Kangaroo Flat. Carla’s great passion for animals stem from her childhood where she spent her days growing up on the family farm and today is reflected by the long list of pets that grace the family home. With husband Jack and children Taine and Tully the house is filled with cats, dogs, birds and fish. Head of the household are her beloved cats followed by her next favourite four legged family member Charlie. Charlie is an adopted Cavalier/Beagle mix who loves her more than a bowl full of food. Outside of work and family, Carla spends her spare time bike riding, walking, running and doing Bootcamp sessions. She leads a very active life and includes Charlie in all of these activities. If she had a choice Carla would spend her life travelling, camping, drinking coffee and laying on the beach. Jack grew up in South Australia, very close to the Victorian border  which almost makes him a Victorian! His early years were spent on an old dairy farm surrounded by cows, sheep, dogs and cats as well as the odd orphan lamb or calf that needed to be hand raised. Jacks first career choice was as a chemical engineer and he spent 8 years working in the mining industry. With the support of his wife  Carla, Jack returned to university to pursue a long held ambition to become a vet. After graduating in 2002, Jack and Carla moved to Maleny in the Sunshine Coast Hinterland where Jack worked in a mixed practice. Whilst in QLD their son Taine was added to the family. After 1 1/2 years the urge to travel became too strong and so started a 3 year adventure traveling around Australia in a caravan and working as a locum vet in some fantastic locations. Towards the end of the traveling, their daughter Tully was added to the family. As the family grew and the caravan became too small they decided to settle in Townsville and Jack spent the next 3 years working in a small animal clinic. The sun and the tropics were great but as the kids got older it was time to move closer to the extended family. Jack joined White Hills Animal Hospital in November 2009 and became a partner in the business in July 2011. Jack continues to be a business partner in Greencross Vets White Hills and is very passionate about continuing to provide personalised and friendly service to clients in Bendigo. In his spare time Jack enjoys camping and lots of time with his family. He passionately follows the Hawthorn football club, plays social tennis and enjoys running the streets of Bendigo. He completed the Melbourne marathon in October 2010, 2011, 2014 and the Gold Coast marathon in 2012, 2014. His goal for 2015 is to complete the NewYork Marathon (along with 50,000 others) in November. Jacks extensive non-human family consists of Zola the basset hound, Charlie the beagalier, Sally the birman cat, Tinkerbell and GO-GO two very naughty bengal cats, two rabbits, two budgies and a few chooks and ducks. Jack is excited to be part of the Greencross Team and looks forward to helping you take the best care possible of your furred and feathered friends whether they go woof, meow, tweet, quack or say very little at all.